You’ve just found the easiest way for you to have your heating, cooling or hot water system replaced for your home in the greater Anacortes area. Replacing your HVAC equipment can seem a bit overwhelming – we promise it’s much simpler than it seems. With a new system from FurnaceUSA you skip all the wasted time, markups & overhead of the traditional heating and cooling industry. No longer will you need to have a salesperson in your home – let our technology based solution save you time and money. 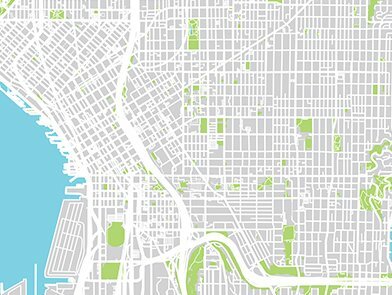 Once you submit your order – our backend systems kick in – we access publicly available information about your Anacortes area home from a variety of sources to begin planning the job. We use this information to determine correct size and exact model needed for your home. Once all the information is has been compiled for your home and the equipment selected a number of processes kick in to get your job ready. Our Anacortes HVAC experts ensure the exact required equipment will be installed in your home. We also begin the back end process of pairing the best install team with your specific type of installation. Although we rely on technology in various ways to put your job together – we also rely on our dozens of years of experience in the conventional HVAC industry. Our processes are comprehensive but our goal is simple – we want to you to experience simple and efficient installation of your equipment. It is summer time and you know what this means, the heat can be unbearable! There are so many things to do to prepare for the heat, and tuning up your HVAC system should be on the top of your preparation checklist. Failure to maintain your unit may lead to some serious problems, one of it being loss of the system’s efficiency at up to 5 percent per year. Regularly maintaining your unit ensures that it will serve you well for a long time. 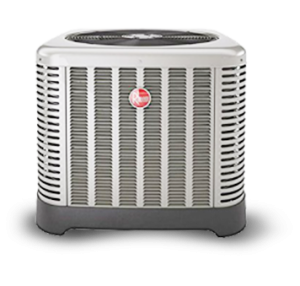 Below are some benefits of hiring an expert for air conditioner, furnace, or water heater maintenance in Anacortes, Skagit County. Failing to maintain your unit can cause issues which might cause it to breakdown when you need it the most. You can avoid this by simply scheduling regular maintenance. Remember that maintenance only is not the solution, the person doing it should be an expert in the field. A professional HVAC systems contractor will inspect and tune up the unit and in case he or she notices any underlying problems, a solution will be recommended and implemented promptly. A dirty or poorly maintained unit could overheat, resulting in a breakdown that could be costly to repair. You obviously maintain your car regularly. This helps in improving its gas mileage. Similar to this, regularly scheduled maintenance of your HVAC system can help improve its efficiency. The system’s improved efficiency will clearly reflect on your monthly electricity bill. The quality of air you breathe inside your home is contributed by your AC system. During tune up, the technician will remove dust and debris from the unit and even replace the air filter if need be, therefore, resulting in cleaner indoor air. Regularly maintaining your HVAC system ensures that it will experience fewer breakdowns. This, in turn, means that you will spend less money on repairs and component replacements and the unit will serve you longer. Prevent future problems with your system by catching them early enough with regular maintenance. Maintenance will cost you much less than repair, therefore, call a professional contractor today and have your system maintained. FURNACE USA – YOUR ANACORTES HVAC INSTALLATION EXPERTS!